In 2014, the Michigan Attorney General’s office implemented a student safety initiative called OK2SAY. This is a program that ensures every student, parent, teacher, and community member has access to a a safe and confidential way to report any concerns about their safety or the safety of others. 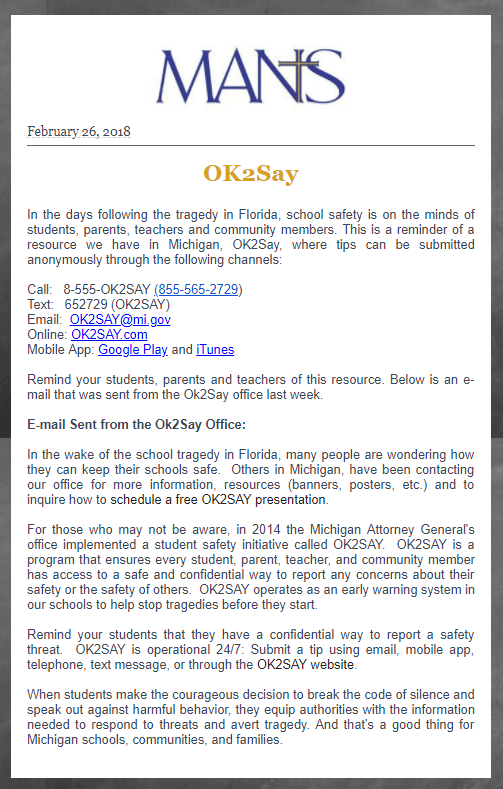 OK2SAY operates as an early warning system in our schools to help stop tragedies before they start.